There are six new members serving their first term in the State House of Representatives. They are referred to as the “Freshman Class.” Hawaii Public Radio. 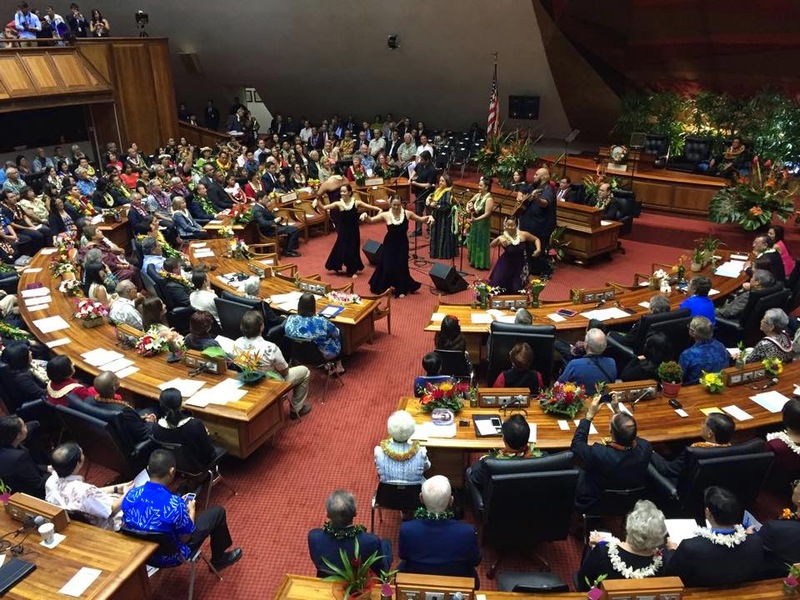 Elected officials from Maui County are urging the Legislature to relax the state's open-meetings law in a way that would allow several County Council members to attend community or private meetings and discuss Council business during those meetings. Star-Advertiser. The longstanding debate on pesticide disclosure is playing out in the state Legislature as lawmakers consider a measure that seeks to make current, voluntary reporting guidelines mandatory. Garden Island. Pierre Omidyar, the eBay founder who lives in Honolulu, saw his ranking on Forbes magazine's list of the world's richest people slip this year, while Larry Ellison, the billionaire executive chairman and chief technology officer of Oracle Corp. who owns the island of Lanai in Hawaii, held on to his No. 5 spot. Pacific Business News. A legal challenge to Brian Schatz’s 2012 appointment to the U.S. Senate has been dismissed. Judge Derrick Watson of the District of Hawaii ruled Feb. 23 that Hamamoto v. Abercrombie is moot, as the plaintiffs waited too long to bring their case. Civil Beat. Hawaii is seven months into the state’s food safety rating program and nearly half the restaurants on Oahu have been inspected. But a website to notify the public which restaurants have passed inspection is still in the works. KHON2. The albizia was first brought to Hawaii for reforestation and it has now become the enemy. This year, it takes one of the top 10 spots on the state's worst invasive species list. KITV4. Kaiser Permanente Hawaii's profits jumped in the fourth quarter of 2014 to $1.4 million, compared to $200,000 in the same quarter the year before, as it gained more members. Pacific Business News. Most of a 6.5 percent increase in Honolulu Mayor Kirk Caldwell's operating budget will be earmarked for no-frills, essential, "fiscal stability" initiatives like catching up on mandatory contributions for the government employees health fund, paying off more debt and shoring up the rainy day fund. Star-Advertiser. Mayor Kirk Caldwell is emphasizing fiscal austerity in his 2016 fiscal year budget, which includes reductions in capital spending and no new taxes or fees. Civil Beat. Although the city’s proposed operating budget of $2.28 billion for fiscal year 2016 increases spending by 6.5 percent, Mayor Kirk Caldwell’s proposal doesn’t contain any new revenue enhancers. KITV4. Mayor Caldwell is on the mainland so managing director Roy Amemiya went over the budget highlights. He says the greatest challenge the city faces is $1.7 billion in unfunded liabilities for retiree health benefits. The budget earmarks $50 million dollars for that. KHON2. 2015 State of the City Address. Transcript of Mayor Caldwell's third state of the city address. Hawaii Independent. Honolulu officials are poised to approve a long-planned development that would replace nearly 1,300 acres of prime farmland in West Oahu. No one really knows if this is a problem for a state that ships in at least 85 percent of its food from the mainland, because no one really knows how much usable farmland is left. The most recent city study was conducted by a consultant who has also worked for the project developer. Civil Beat. Residents, labor union members and farmers packed a room at Kapolei Hale Monday night and debated whether Hoo­pili, a proposed 1,554-acre development plan by D.R. Horton-Schuler Homes, should be built on prime agricultural land between Ewa and Kapolei. Star-Advertiser. The Honolulu City Council Zoning and Planning Committee intends to consider a planning document for the North Shore on Thursday that includes a highly debated proposal to allow a new residential community in Malaekahana. Civil Beat. City Council to decide the fate of Malaekahana. Zoning committee chair Anderson will introduce amendments that would kill most of the controversial proposed “Envision Laie” development on the rural northeast coast of Oahu. Hawaii Independent. Opinion: Stop the Malaekahana Development. The City Council should put the brakes on a proposal to expand urban boundaries and build another North Shore town. Civil Beat. The University of Hawaii at Manoa announced Monday that it will officially ban smoking on campus, effective July 1, becoming the second smoke-free campus in the state after Kapiolani Community College. Star-Advertiser. A pension fund for workers in Australia has become part-owner of Hawaii's largest shopping center. AustralianSuper bought a 25 percent interest in Ala Moana Center from Chicago-based General Growth Properties Inc. for $907 million Friday. Star-Advertiser. President Barack Obama has officially renamed the Asia-Pacific Center for Security Studies in Waikiki as the Daniel K. Inouye Asia-Pacific Center for Security Studies. Star-Advertiser. The Honolulu Police Department is changing one way they identify suspects in cases. Following a nationwide trend, HPD is changing the photo lineup policy. It's an effort to prevent falsely identifying suspects. Hawaii News Now. The same names keep recirculating on county boards and commissions, due in part to a shortage of volunteers willing to step up. And even after drawing upon all the familiar faces, Mayor Billy Kenoi still has 25 to 30 openings to fill. West Hawaii Today. The Hawaii Board of Land and Natural Resources approved Friday a pair of lease extensions for Uncle Billy’s Hilo Hotel and the Country Club condominiums. Tribune-Herald. A 485-acre tract of North Kohala land on the road to Pololu Valley is set to be sold. The stretch of pasture and forest land is in a north Texas bankruptcy court, where a hearing on a possible sale and offer of $2.87 million is set to be considered by a judge March 18. West Hawaii Today. The State Commission on Water Resource Management begins a contested case hearing today on a petition to amend interim instream water standards for 27 streams in East Maui. Maui Now. A Kauai seed company let 23 employees go on Monday. Syngenta AG, a global Swiss agrochemical company with a research center in Kekaha, laid off workers at all levels. Garden Island.